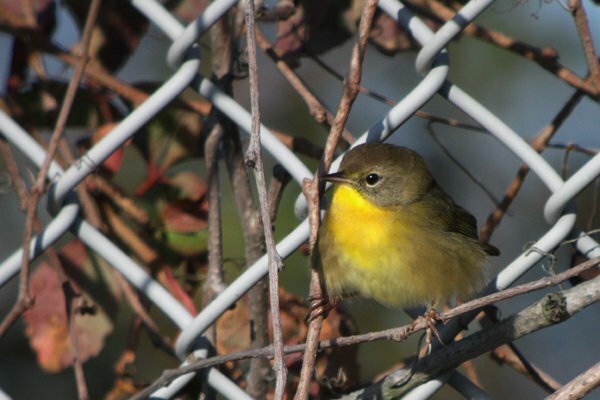 Though it was pretty warm for an October morning when I spotted this bird at Fort Tilden, Queens, it was fluffed up as if it was suffering from extreme cold. Maybe it was trying to be a big tough guy considering the volume of sparrows in the vicinity of where it was foraging? Somehow, I doubt it but I have to admit that I was entertained with such a fluffy Common Yellowthroat. It being mid-October you can often find Common Yellowthroats in brushy areas, overgrown gardens waiting for frost to finish them off, or where I found this one, along a fence line. Listen for their “chack” calls and, if it is a sunny, warm day, you may be lucky enough to hear one break out into its “Witchety-witchety-witchety” song, though, of course, that is much more likely in spring. 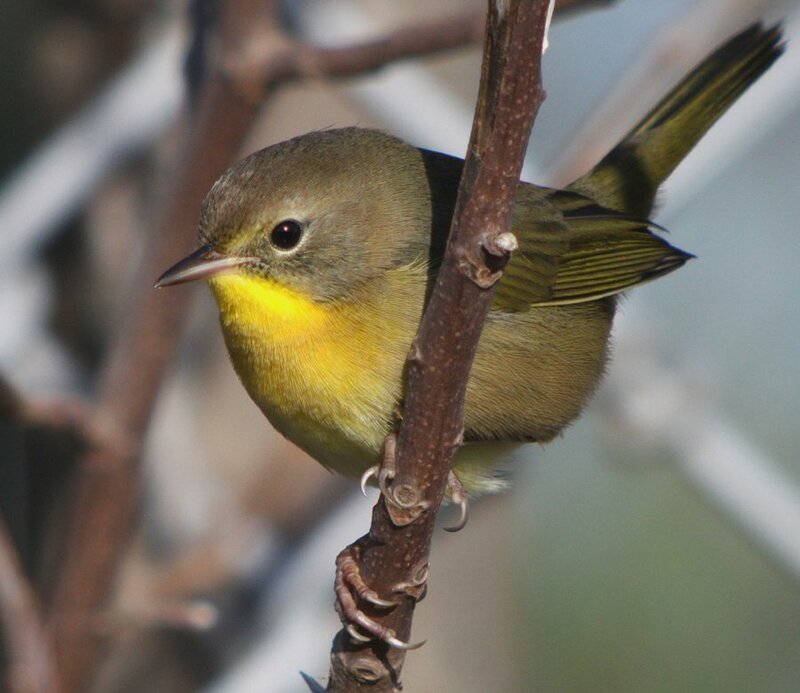 In the southern United States, especially along the coast, and in coastal California you can find Common Yellowthroats year-round, but we folks further north have to get very lucky to find one after October though my coastal location at least gives me a chance. 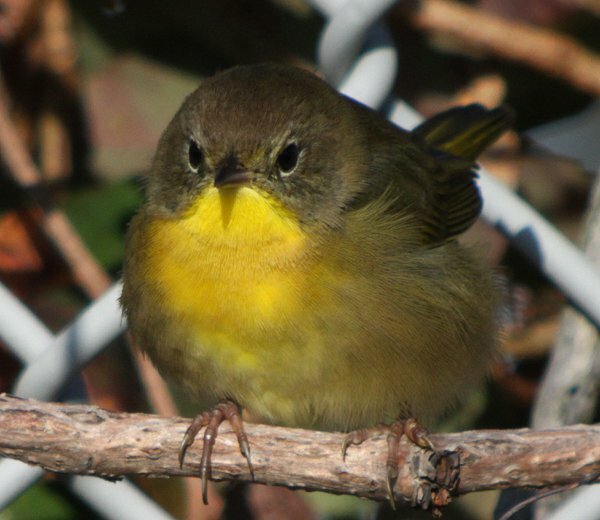 When do you see your last Common Yellowthroat of the year? Or are you one of the lucky ones who get them year-round? Enjoy these shots of Geothlypis trichas and for those at my latitude enjoy each sighting of a wood-warbler this time of year because it may be your last until spring! 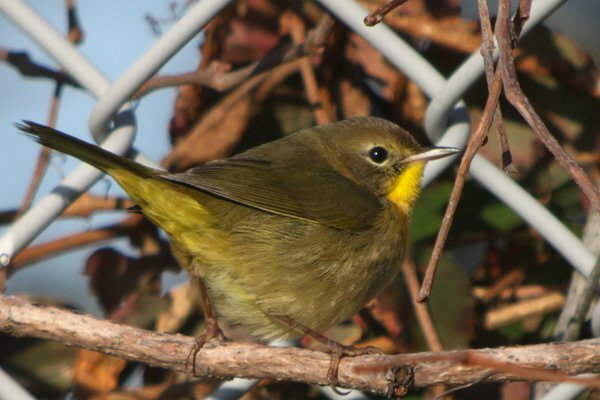 One year I saw my last Common Yellowthroat of the year on New Year’s Eve, and that was on my local patch. Sometimes I enjoy imagining that should I lick their throats, I would get the delicious flavor of lemon. John, we occasionally get coastal birds in winter but not very often. Lindsey, I’ve tried it and they actually taste more like pineapple.